Racism, questions, TableTop, victories, spinning, genetic literacy and more! God-given racism - A question about Bible-supported racism evolved into all sorts of other questions. Questions for a Christian - About the nature of God, morality, the Bible and more. TableTop - A YouTube show focused on table-top games. Victories for equality - Socially important rulings from the Supreme Court of the USA. Editor’s Choice: Egyptian statuette spins untouched - Wheeee! Genetic Literacy Project — As my pick in our last Summary, I called upon the skeptical community to take on the issue of Genetically Modified Organisms or GMOs. It’s my feeling that too much misinformation, driven by ideology rather than science, is distorting the way much of the public views GMOs, and the time has come to push back as we have on the anti-vaccination movement and climate change denial. 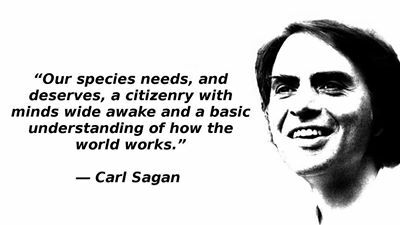 As always, we should seek to counter ideological, religious or politically motivated pseudoscience or scientific denial in favor of whatever is the legitimate consensus of scientists, no matter what our personal beliefs are on religion or politics. The foundation for most modern skeptical positions rests on empirical evidence. We either doubt or tentatively accept matters of science, based on the evidence for or against any proposition. Of course, it helps to know the reason why we take a position is on issues that we concern ourselves with. And the key to that is to know how to differentiate the good evidence from the bad. We can’t be experts in everything, and many of us cannot really claim an expert knowledge in anything of concern to skeptics, beyond knowing where the good evidence resides, and how to apply it as skeptics and critical thinkers. And knowing what the scientific consensus is on a matter of science, and supporting it against claims that come from dubious sources is one of those ways. And that’s exactly when a site like the Genetic Literacy Project comes into play. If we are going to counter bogus claims and misinformation, we need a source for good information. In the area of genetics, including genetic engineering, stem cell research, evolution, epigenetics, personalized medicine and so on, the Genetic Literacy Project is a great source for learning about and guiding us to sites and articles of value. It’s resource central in the battle against misinformation with regard to all things genetic. 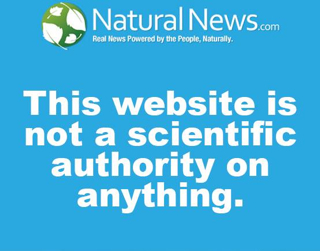 It’s a site that I relied on heavily in my plea for more skeptical activism against GMO misinformation. Agricultural and human genetics are reshaping farming, food and medicine. The GLP explores the intersection of DNA research, media and policy to disentangle science from ideology. Genetics is our future. It can be a source of dramatic innovations to improve food security, the environment and public health. In theory, biotechnology and related cutting edge sciences are widely celebrated. But in practice, the words “gene” and “genetic engineering” often stir fear and misunderstanding. Intricate science scares people who don’t understand risk and complexity. What is the potential of agricultural and human genetics? The goal of the GLP is to serve as a resource to those interested in disentangling ideology from science. The GLP is non-partisan non-profit organization funded by donations from various philanthropies. It is affiliated with the non-profit Statistical Assessment Service (STATS) based at George Mason University in Virginia. In much the same way RealClimate takes on climate change denial, and counters the misinformation about climate change spread by politicians, some religions and the media, the Genetic Literacy Project takes on misinformation about GMOs and other challenges to the scientific consensus in the area of genetic research. So along with my plea for skeptics to step it up on answering those who are sure GMOs pose a threat to our existence, I also offer the The Genetic Literacy Project as a go to resource for the science-based lowdown on GMOs and other issues dealing with genetics. Is the End Coming for Ken Ham? No, dolphins are not your ‘therapists.’ So just stop it. Do You Believe in Magic? : The Sense and Nonsense of Alternative Medicine, by Paul A. Offit. “In Do You Believe in Magic?, medical expert Paul A. Offit, M.D., offers a scathing exposé of the alternative medicine industry, revealing how even though some popular therapies are remarkably helpful due to the placebo response, many of them are ineffective, expensive, and even deadly. Dr. Offit reveals how alternative medicine — an unregulated industry under no legal obligation to prove its claims or admit its risks — can actually be harmful to our health. Using dramatic real-life stories, Offit separates the sense from the nonsense, showing why any therapy — alternative or traditional — should be scrutinized. He also shows how some nontraditional methods can do a great deal of good, in some cases exceeding therapies offered by conventional practitioners. There were 7,613 daily visitors this week. There were 38,508 daily visitors in June, 2013.